During Apple’s iPhone SE keynote event last month the company focused on its current environmental policies and what it is doing with renewable energy and more. Now it would appear that Apple will stop using plastic bags in its retail stores from this month, instead the company will use paper bags which are made from 80 percent recycled material. The news comes in the form of an email to Apple employees that was obtained by 9 to 5 Mac, you can see an excerpt from the email below. We’re committed to leaving the world better than we found it. One bag at a time. So on April 15, we’ll switch to paper shopping bags made from 80 percent recycled materials. These bags come in medium and large. When customers are buying a product, ask if they need a bag. They may decide the don’t. And you’ll encourage them to be even more environmentally friendly. Apple can obviously see that by removing plastic bags from their retail stores and switching to paper based ones it will be good for the environment. 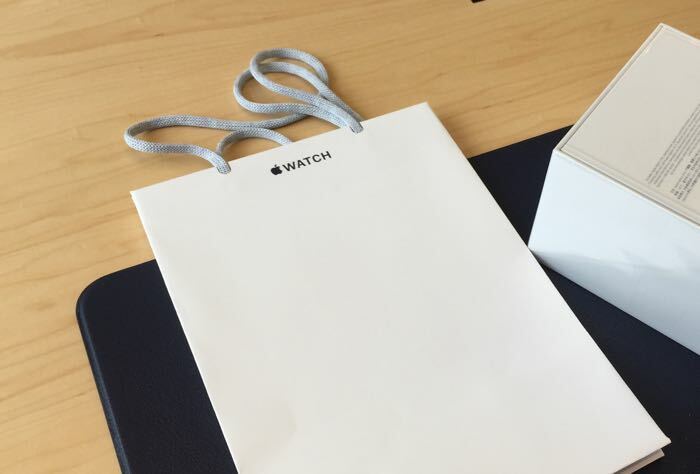 The company used paper bags for the launch of the Apple Watch and the new bags could be similar to these ones.